[ezcol_1half]Like them or loath them, the next few years will see a significant increase in the number of full electric or hybrid vehicles hitting the road. 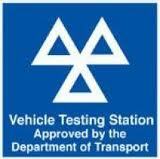 With more of these vehicles on the roads, we are also going to start to see more of them requiring servicing and repair. 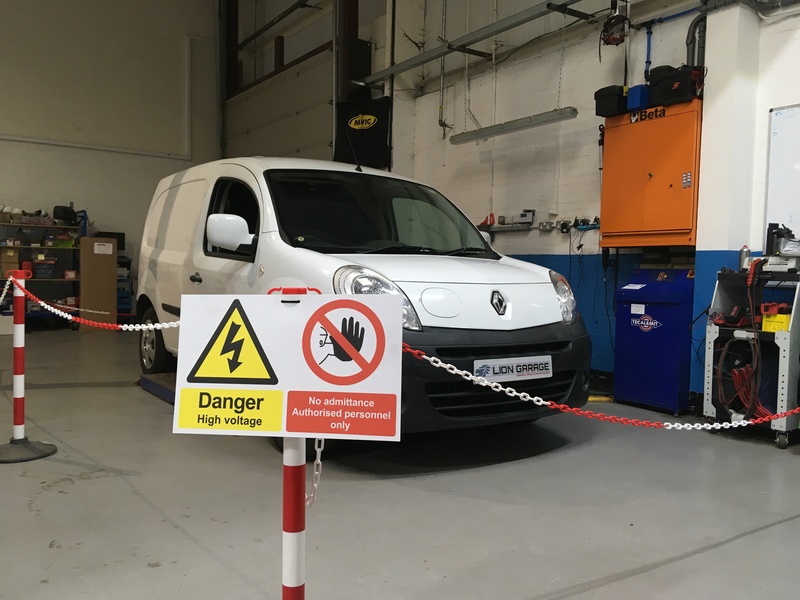 As part of our ongoing development and training, all of our technicians have started gaining the necessary qualifications to safely maintain high voltage vehicles. 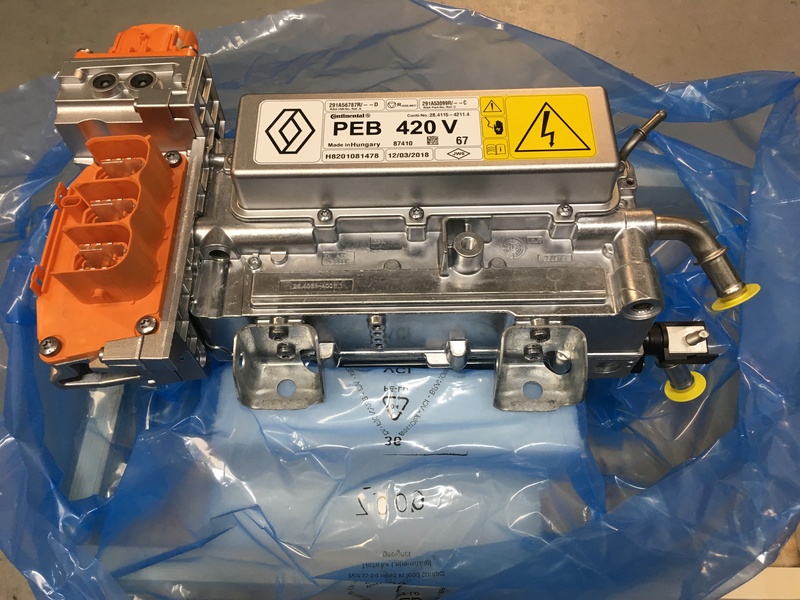 Recently a Full electric van was recovered to us in a fault state, unable to drive and displaying number of warning messages relating to the high voltage management, battery and motor assemblies. 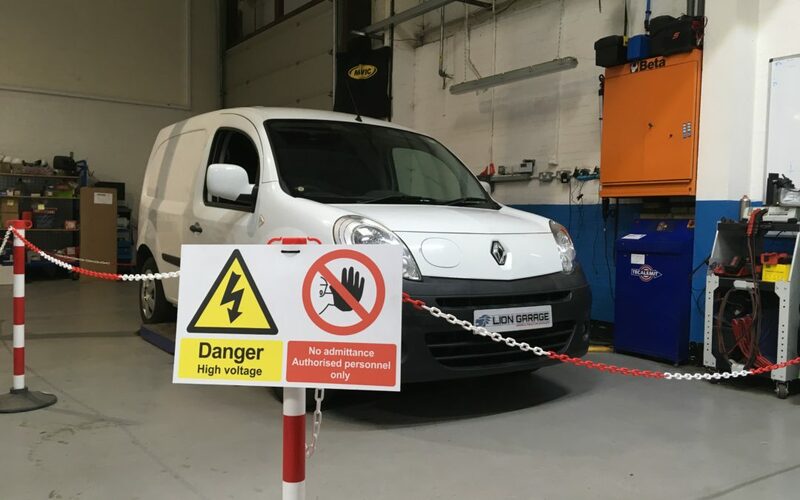 High voltage systems can be deadly if not dealt with correctly, so before work starts, we make sure the necessary safety precautions are in place. Next we start to look at the vehicle with a scan of the various computers. It quickly became apparent that there was an issue with one of the units. The power electrics block (or DC-DC converter) was absent from the network, meaning we were unable to interrogate it and the many computers that communicate with the DC-DC converter were reporting communication issues. 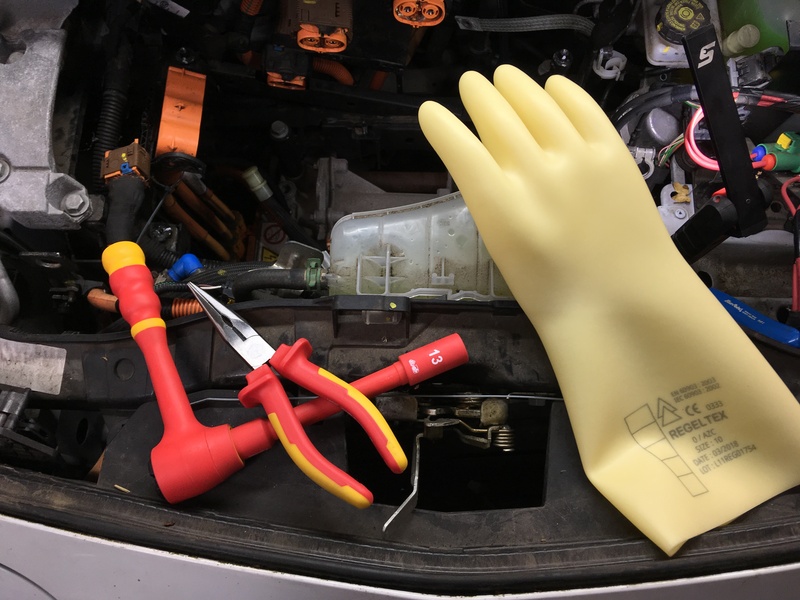 Before we were able to start any network fault finding, it was necessary to isolate the high voltage from the rest of the vehicle by removing the service connector (the large, main fuse). 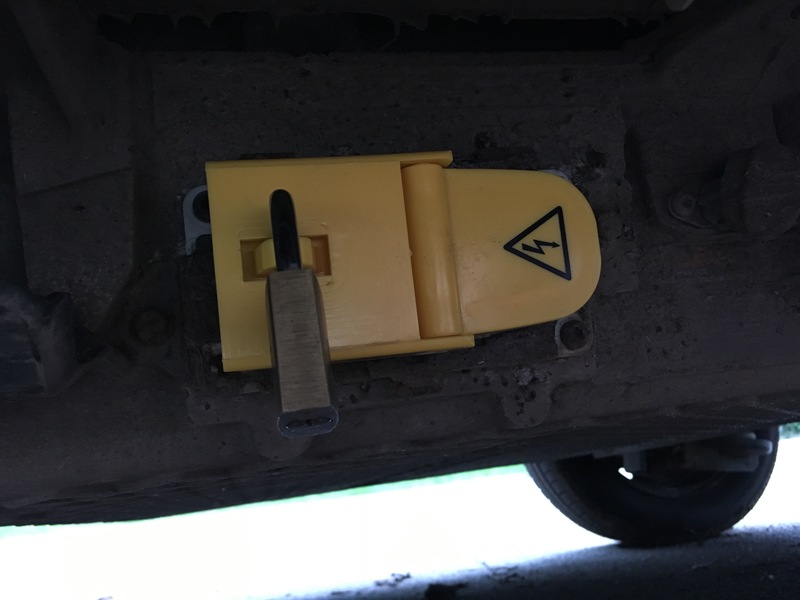 A lockable cover is then fitted in its place, to ensure that it was not possible to accidentally power up the vehicle. We then confirm the absence of high voltage in the system, before carrying out any testing. [ezcol_1half] Once removed, the service connector was checked. It has an inbuilt fuse which was open circuit. This indicates the fuse had blown which was a clue to the nature of the fault. 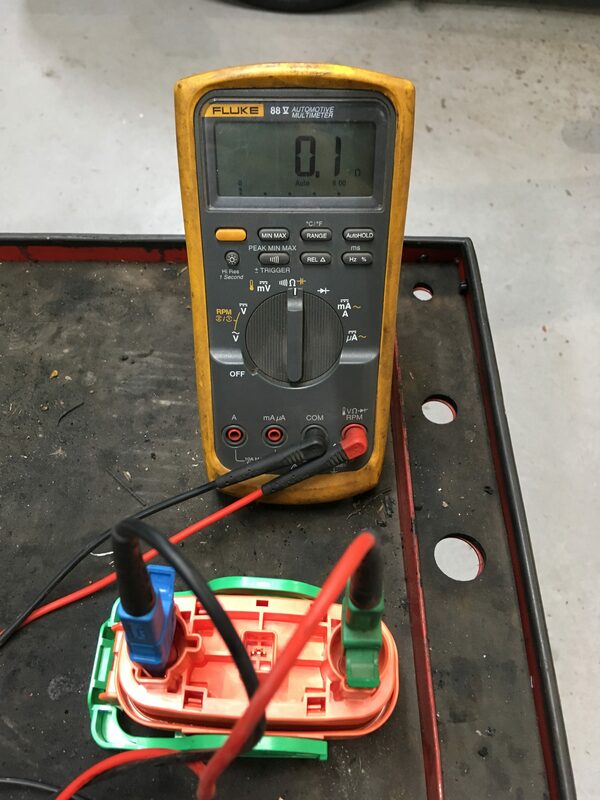 We continued with the network fault finding, confirming that all power supplies, grounds and communication networks were present at the power electrics module (or DC-DC converter). 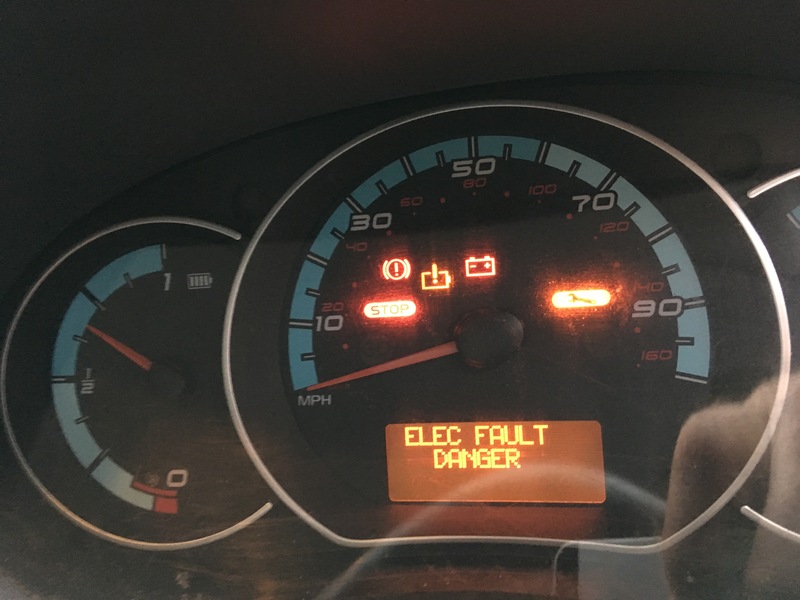 At this point we were confident that the van required a new Power electrics block, but we also needed to confirm the reason for the blown service connector fuse. 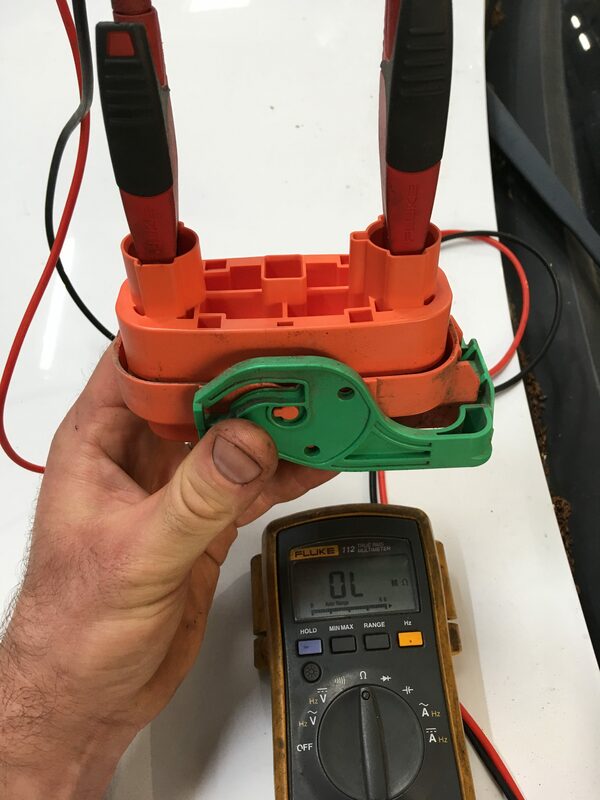 Using the insulation tester, we were able to check the entire vehicles high voltage system. As suspected there was a problem with the insulation somewhere. Following a methodical process, the Power electrics block was confirmed to also be the cause of the insulation failure. Completing this process confirmed that the rest of the high voltage system, including the drive motor, AC compressor, cabin heater, cabling etc was OK. The new Power electrics block arrived, it was fitted in accordance with the manufacturers instructions. 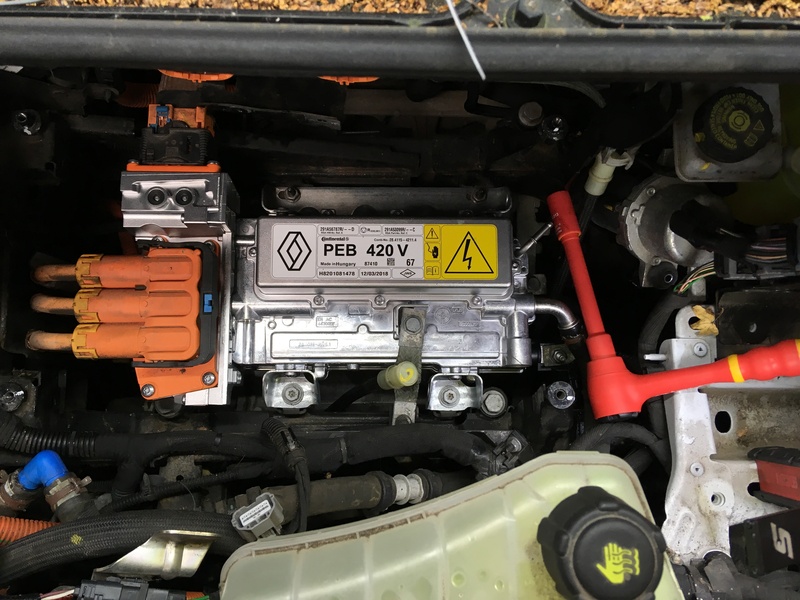 The rest of the vehicle, including the charging unit re assembled and the cooling system was topped up with the correct coolant. New Power Electrics Block in place. New service connector ready to be fitted. All work was carried out following the Renault specified repair procedures. The voltage and current levels that are present in these vehicles are way beyond deadly. There is absolutely no room for short cutting any procedures as safety is the number one concern.